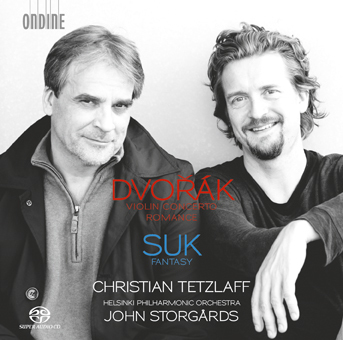 Violinist Christian Tetzlaff and the Helsinki Philharmonic Orchestra conducted by John Storgårds have received a Grammy nomination for their recording of Josef Suk's Fantasy and Antonin Dvorák's Violin Concerto and Romance (ODE 1279-5). The nomination is in the category 'Best Classical Instrumental Solo'. Congratulations!